Because of the powerful operation of on- going cold front and east monsoon, heavy- very heavy rains have covered the north central provinces from Quang Tri to Phu Yen starting November 1 with the average rainfall of 100- 300 mm, even up to 300- 500 mm in some localities of Thua Thien- Hue, Da Nang, Quang Nam and Quang Ngai, reported the Central Hydrology Meteorology Forecast Center. Floodwaterl is rising rapidly to alarm levels 2-3 in Quang Tri province. A severe flood occurred in the central region’s river systems in the last couple days due to the heavy rain. Thereby, floodwater is forecast to continue rapidly rising on Ha Tinh province’s Ngan Sau river and the local rivers from Quang Tri to Quang Ngai. 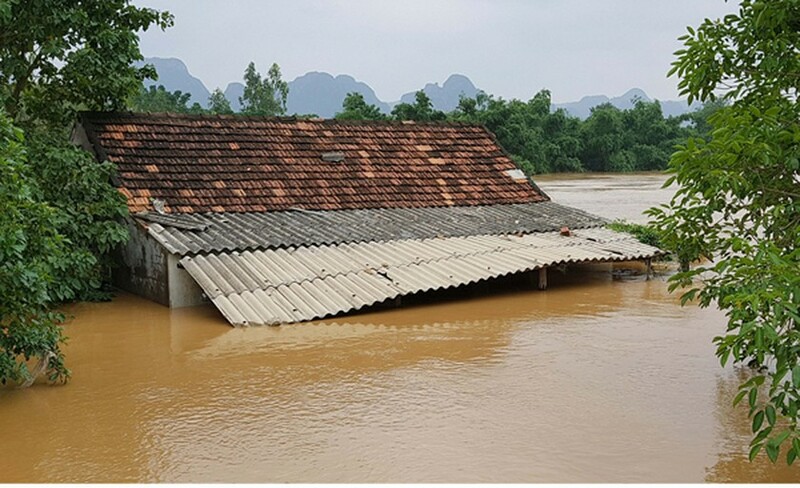 Huong Son, Huong Khe, Vu Quang, Cam Xuyen, Duc Tho district of the Ha Tinh province, and Minh Hoa, Tuyen Hoa, Bo Trach, Le Thuy district and Ba Don town of the Quang Binh province are warned to continue suffering the severe flooding at 1- 2.5 meters. According to the weather forecast, the flood level is rising rapidly to alarm levels 2-3 in Quang Tri and Quang Ngai, by level 1- 2 in Thua Thien- hue, Quang Nam, Binh Dinh, Phu Yen and Khanh Hoa. 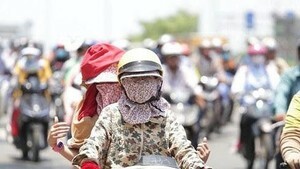 In order to ensure lowlands safety, the water reservoirs in the provinces from Ha Tinh to Binh Dinh need to be kept close watch. With the complicated weather situation, Prime Minister Nguyen Xuan Phuc yesterday required the Central Steering Committee for Natural Disaster, Search and Recue, Police Ministry collaborate with army and police forces and the flood- hit central provinces from Ha Tinh to Thua Thien- Hue in keeping close watch on the rainfall and flood situation, providing the most correct and timely information about heavy rain and flood to the residents, mobilizing the functional forces in moving resident’s properties and animals to higher areas, and delivering enough food and drinking quality to the flood victims. In addition, the PM called on local authorities to eye on water level and flood releases at reservoirs, irrigational works and hydropower dams.